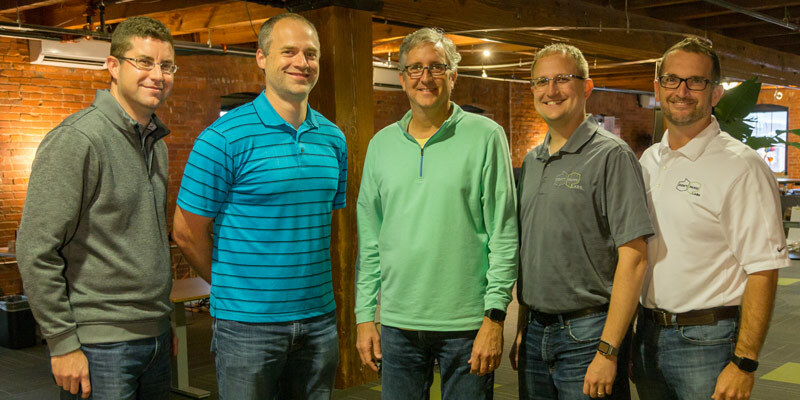 Software design and engineering firm Don’t Panic Labs and custom software and data solutions provider Stone Fin Technology are proud to announce that they are joining forces, under Don’t Panic Labs, creating the largest outsourced product development company in the Lincoln, Nebraska area. Bringing these teams together furthers the goal of Don’t Panic Labs to enable sustainable business agility by increasing software development bandwidth for a wider range of industries. Current Stone Fin Technology customers now have access to a greater depth of software engineering, architecture, and design expertise. “I’m really excited about this move. We want to bring opportunities to improve the systems used by government and health care sectors, and in turn, help improve their services,” said Carl Steffen, owner and founder of Stone Fin Technology. Additionally, the companies are able to impact new markets with their proven software design and development expertise, with the goal of increasing efficiencies and improving the experiences of everyone affected by these systems. The Stone Fin Technology team will join the Don’t Panic Labs team in their Lincoln offices. Photo caption: (L-R) Trent Fellers, Carl Steffen (from Stone Fin), Doug Durham, Brian Zimmer, and Bill Udell (from Don’t Panic Labs).